The Easterlin paradox is the finding by Richard Easterlin (1974) that reported happiness was flat or falling between 1946 and 1970 despite sustained US economic growth over the period. Some have cast doubt on the idea that happiness is decoupled from economic growth – for example, Stevenson and Wolfers (2008) show that happiness typically grows with income, albeit more slowly. Nonetheless, there has been a growth in the study of the economics of happiness and wellbeing. First, it discusses the important issue of measurement of wellbeing as compared with other, more conventional, statistics used in macroeconomic policy. As the research literature has developed, official measures have also been developed. Famously, Jigme Singye Wangchuck, the fourth king of Bhutan, commented in the 1970s that “gross national happiness (GNH) is more important than gross national product”.2 Bhutan, albeit relatively recently, measures GNH quantitatively using nine sub-indices. In defence of subjective wellbeing measures, proponents point to the fact that these have been used for a long enough time, and across different countries, and they give rise to many consistent findings. Proponents also point out that other, more scientific, measures of happiness, such as those derived from brain scans, corroborate the results derived using the apparently problematic self-reported measures. GDP is not without its critics, beginning with Kuznets in the 1930s and 1940s. The Commission on the Measurement of Economic Performance and Social Progress, led by Joseph Stiglitz and colleagues (2011), stresses that the growing complexity of modern economies renders a measure of the value of a nation’s production of goods and services less and less useful and reliable. In particular, modern economies are characterised by a large (and growing) share of services in national production, as well as increasingly complex products and supply chains in manufacturing. Furthermore, amid growing interest in the distribution of income, researchers can also use happiness surveys to understand the distribution of wellbeing within both OECD and non-OECD economies (e.g. Helliwell 2016). Measures of income distribution are harder to assess from standard measures of GDP. Yet despite its problems, Coyle (2014) notes that, as a summary measure, GDP remains central to modern economic analysis and politics. Small swings in the statistic can make or break opinion on government policy. Given that both GDP and subjective wellbeing measures have advantages and disadvantages, the first question in the CFM-CEPR survey asks the experts for their views about the current state of wellbeing measures for macroeconomics. Question 1: Do you agree that subjective wellbeing measures, or at least some of the sub-indices from the typical survey measures, are now reliable enough to give useful insights when used in macroeconomic empirical analysis? Fifty-seven panel members answered the first question. 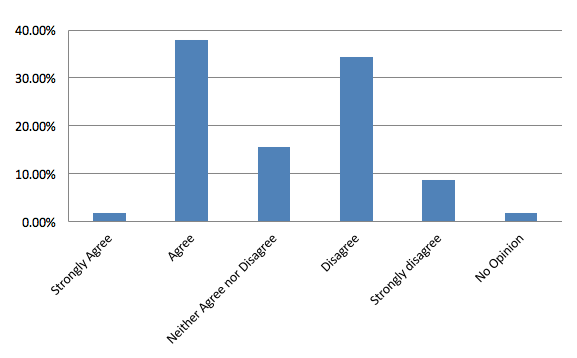 The panel members are roughly evenly divided: 40% either agree or strongly agree; 44% either disagree or strongly disagree; and 16% neither agree nor disagree. Given that the analysis of wellbeing measures is relatively new, these proportions suggest a reasonable amount of openness of macroeconomists to measures of subjective wellbeing. 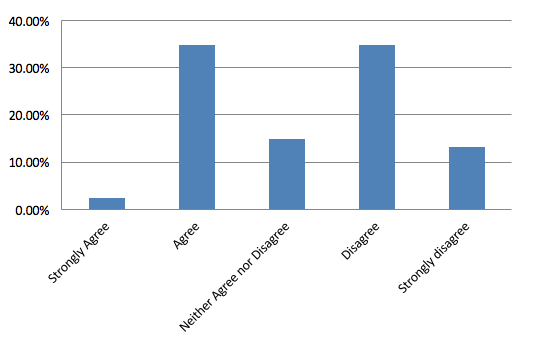 The balance between agree and disagree is also evidenced by the fact that, in many cases, respondents on both sides of the answer cite reasons that are also used by respondents against them, and vice versa. First, only one respondent strongly agrees with the statement, while five strongly disagree.Second, when weighted by self-reported confidence, the gap widens to 37% in agreement compared with 48% in disagreement. Sir Charles Bean (London School of Economics, LSE), who led the independent review of UK economic statistics for the ONS, acknowledges the limitations of GDP as a measure of welfare. But he disagrees that wellbeing should be used in empirical macroeconomics: “we are a long way off having a measure of happiness or wellbeing that is widely accepted and sufficiently reliable to base macroeconomic analysis around”. Sir Charles acknowledges that these measures warrant further research and analysis, and this view is shared by others who both agree and disagree with the overall proposal. For example, Per Krusell (Stockholm University) prefers to focus on “observable economic behaviour”, but states that his view “can be changed as more research is produced”. Jürgen von Hagen (Universität Bonn) believes that wellbeing measures “seem sufficiently reliable in the sense of producing consistent and robust correlations with macroeconomic variables that make intuitive sense”, but he still wants to see more analysis to ensure that such findings are stable across time and when subject to sub-aggregate analysis. David Bell (University of Stirling) goes further and suggests that these data warrant greater interdisciplinary research with subject areas such as psychology. Others are already happy to use these measures but not as a replacement for GDP. Ricardo Reis (LSE) notes the “remarkable progress in this area in the past two decades”, but still emphasises that these indicators should be seen as “complements to GDP though, not substitutes”. Similarly, Panicos Demetriades (University of Leicester) argues that such measures “can be a useful ‘add-on’, if used consistently”. Pietro Reichlin (LUISS, Università Guido Carli) concludes that this heterogeneity is reflected in different ways by individuals and he is “very sceptical about the meaning of an index derived from the aggregation across individuals of these type of evaluations”. Fabio Canova (Norwegian School of Management) worries that respondents to wellbeing surveys each have different interpretations even when they face the same question. 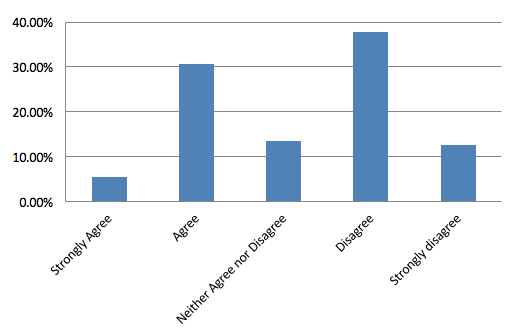 There are others who disagree more strongly. Richard Portes (London Business School) does not like the attempts to measure happiness and stresses instead the United Nations Human Development Index as one of “plenty of indices out there which use reasonably objective data measuring aspects of wellbeing”. Wellbeing and happiness researchers tend to argue that government policy must take more seriously the impact of policy on wellbeing. Infrastructure project planners already think beyond the growth impact of such investments to account for health benefits of decreased pollution or time benefits of faster commutes when doing their cost-benefit analysis of individual infrastructure projects (for example, HS2, the UK’s planned high-speed railway linking London and the north of England). Macroeconomic policies would also be affected by such a change in the approach to policy analysis. For example, if relative consumption is what matters for happiness and wellbeing, as a number of researchers argue, then policies that boost growth but in an unequal fashion would be less desirable than policies that raise incomes in a more uniform fashion (even if growth is lower for everyone). Another potential policy change concerns the use of monetary policy as a temporary stabilisation tool. Given that unemployment is generally acknowledged to be a significant cause of unhappiness that persists even after new employment is found, central banks might be given the objective of getting back to full employment faster, even if at the cost of higher inflation. Arguments against this shift in the focus of macroeconomic policy include the view that while all measurement is imperfect, our measures of wellbeing are not yet in the position to allow them to drive policy design. Others worry that the interrelationships between the factors driving wellbeing are not yet well enough understood. Question 2: Do you agree that quantitative wellbeing analysis should play an important role in guiding policymakers in determining macroeconomic policies? 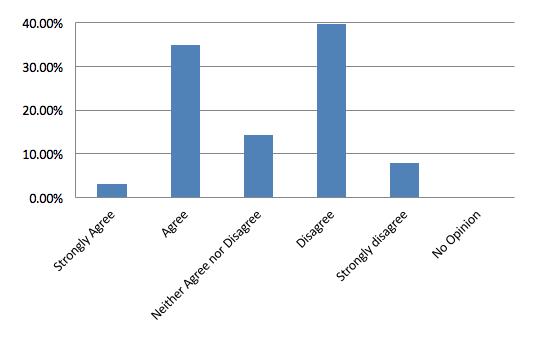 Sixty-three panel members answered the second question in the CFM-CEPR survey, which invited their opinions of using wellbeing analysis in macroeconomic policy. While still quite balanced, 48% of respondents disagree or strongly disagree that quantitative wellbeing analysis should play an important role in macroeconomic policy. This compares with 38% who agree or strongly agree and the remaining 14% who neither agree nor disagree. As before, those in disagreement are relatively more confident; when weighted by self-reported confidence, the 48% in disagreement becomes 50% with 38% in agreement. Simon Wren-Lewis (University of Oxford) strongly agrees, suggesting that “central banks should pay much more attention to this happiness data than the implications of what governs social welfare in very simple microfounded models.” He dismisses arguments that we don’t understand such data. David Miles (Imperial College) believes that the large effect on misery “caused by involuntary unemployment is surely relevant to a range of government (and perhaps central bank) policies”. He argues that the use subjective wellbeing measures will provide important information that helps our understanding of the relationship between macroeconomic policies and wellbeing. Kevin O’Rourke (University of Oxford) answers in agreement because he feels that “if economists are going to persist in being utilitarians, then they should think about what actually makes human beings happy!” But, as with others in answering question 1, he worries about the fact that we are a long way from being able to rely on wellbeing measures. Coyle, D (2014), GDP: A Brief but Affectionate History, Princeton University Press. Easterlin, R A (1974), “Does Economic Growth Improve the Human Lot? Some Empirical Evidence”, in P A David and M W Reder (eds), Nations and Households in Economic Growth: Essays in Honor of Moses Abramovitz, Academic Press. Helliwell, J (2016), “ Happiness inequality and the importance of trust ”, VoxEU, 6 September. O’Donnell, G and A Oswald (2017) “Happiness as a Policy Aim”, chapter 1 in Understanding Happiness: A CAGE Policy Report edited by Karen Brandon, Social Market Foundation. Stevenson, B and J Wolfers (2008) “Economic Growth and Subjective Wellbeing: Reassessing the Easterlin Paradox”, Brookings Papers on Economic Activity, Spring: 1-87. Stiglitz, JE, A Sen and J Fitoussi (2011), “Report by the Commission on the Measurement of Economic Performance and Social Progress”, European Commission. White, MD (2014), “The Problems with Measuring and Using Happiness for Policy Purposes”, Mercatus Working Paper, Mercatus Center at George Mason University, Arlington, VA.
 More information available at http://www.grossnationalhappiness.com/articles/ . Of course, it should be noted that the ‘gross’ in Gross National Happiness is not well-defined in the way that the ‘gross’ in GDP is.